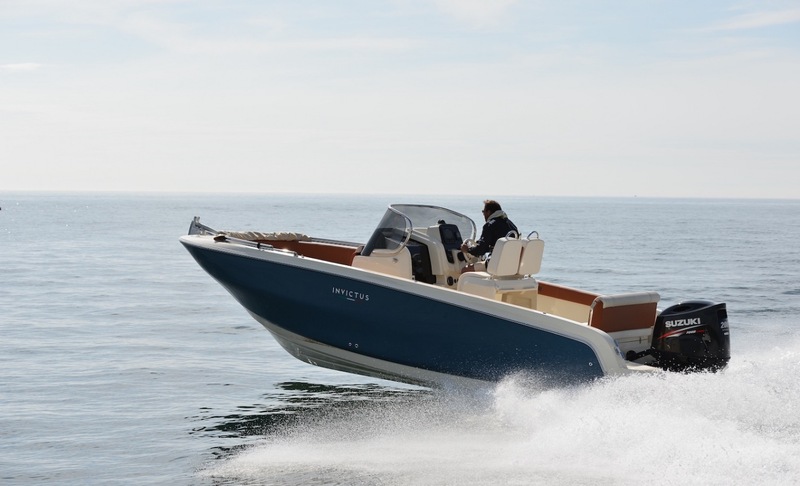 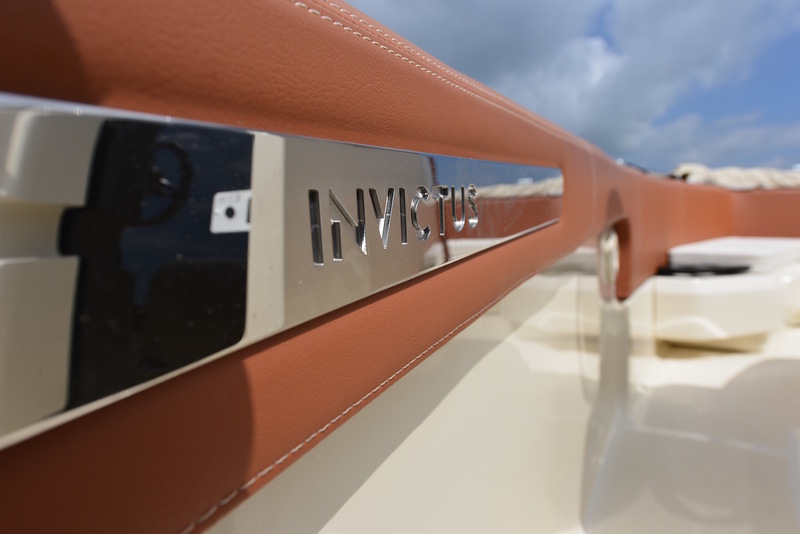 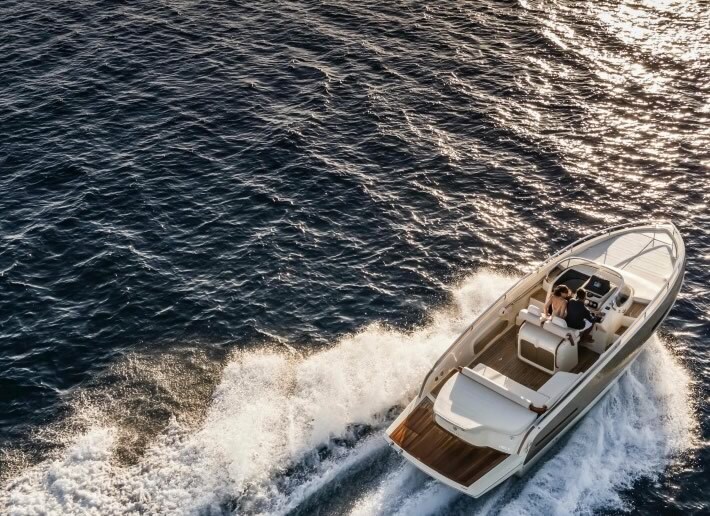 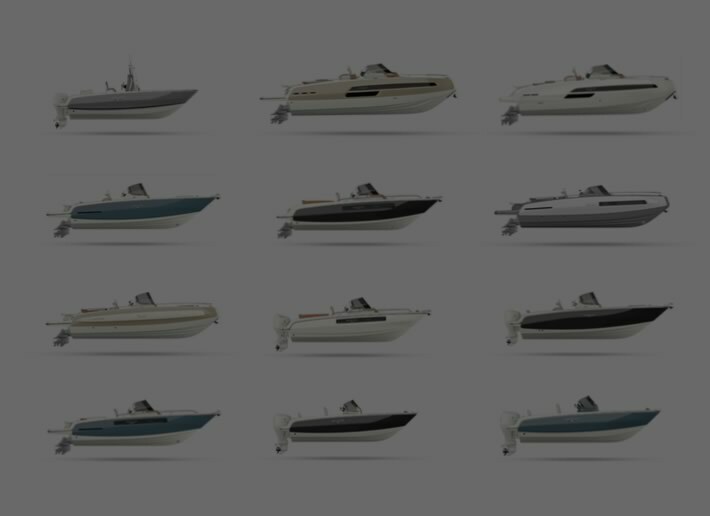 The FX Series welcomes a new protagonist with outboard propulsion and a very performing hull, suitable for formed seas. 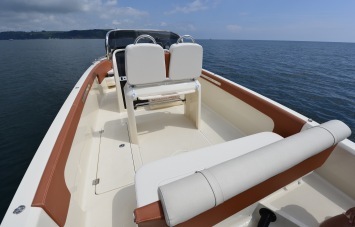 A boat as good as the bigger ones in terms of details, equipment and quality of the materials. 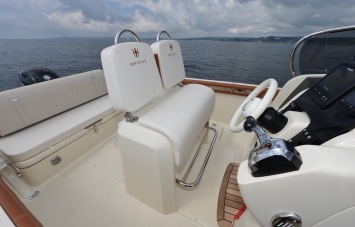 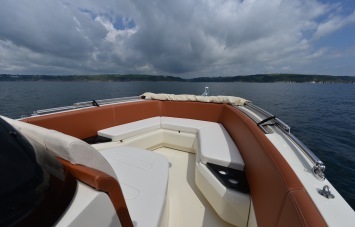 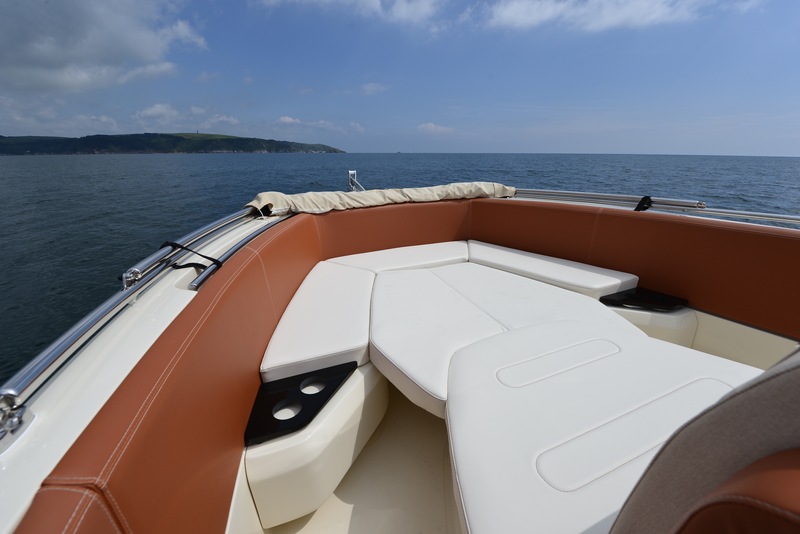 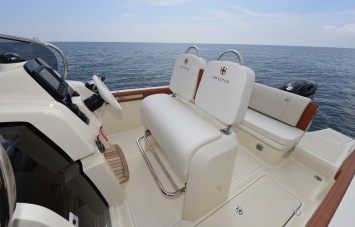 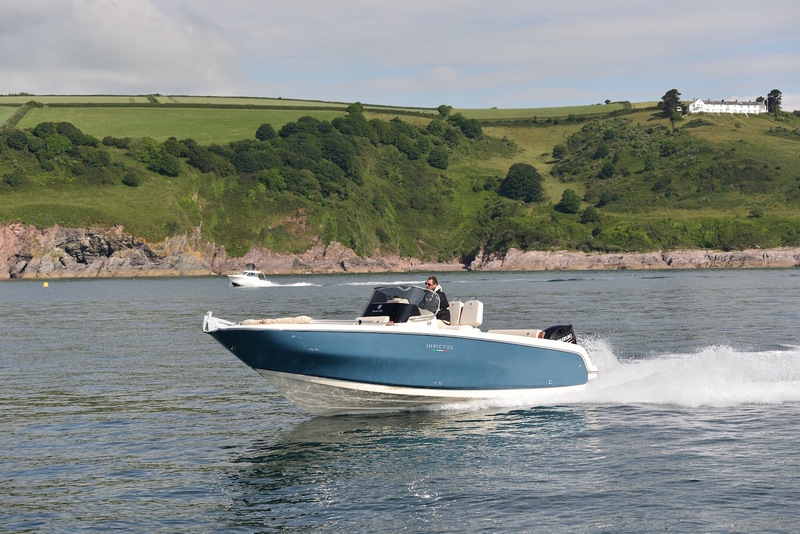 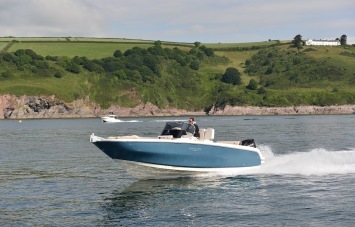 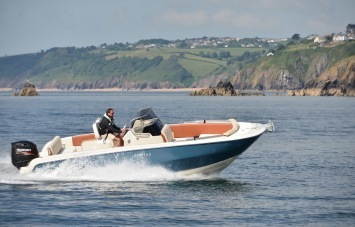 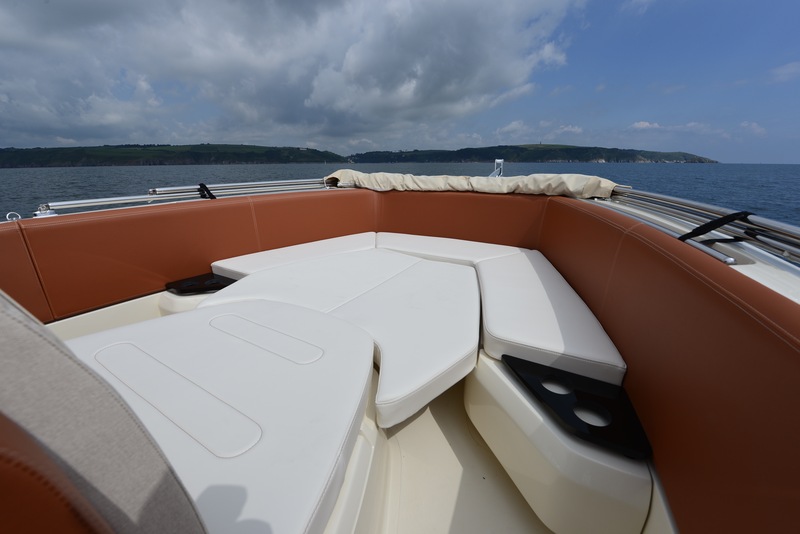 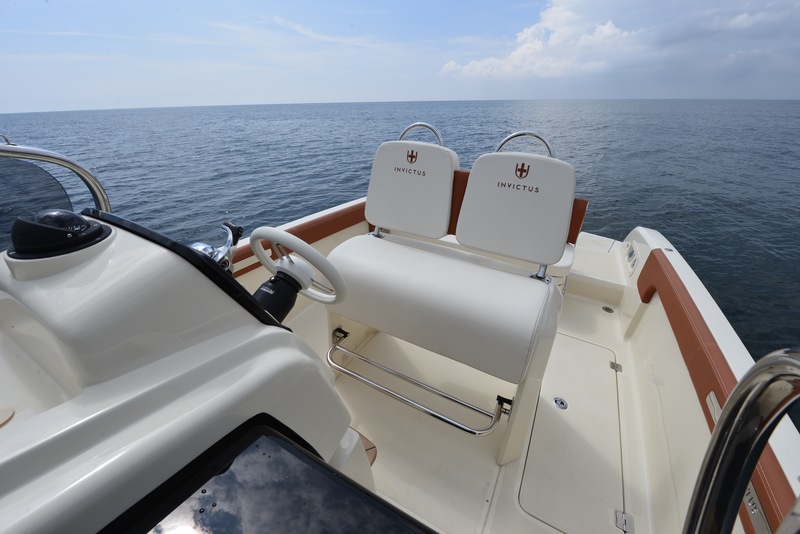 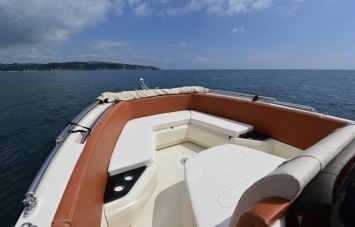 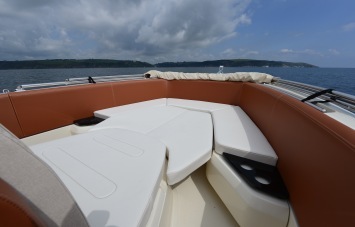 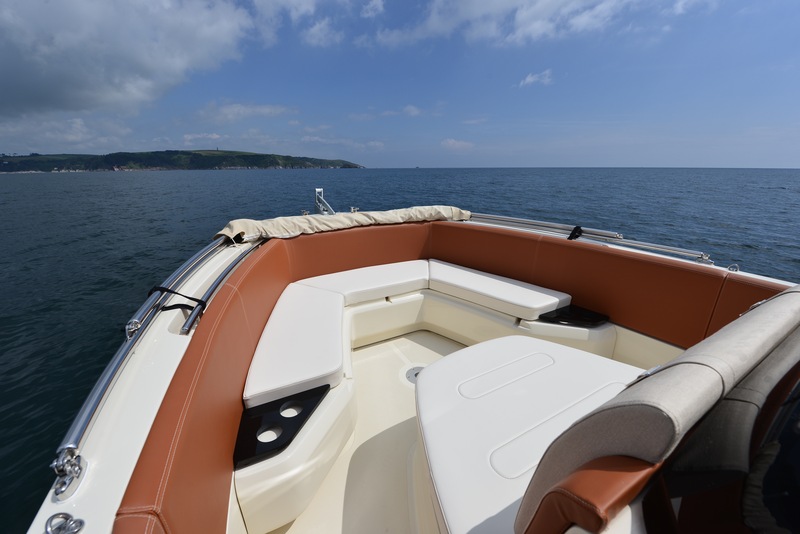 The restrained size does not compromise the gracefulness of the linesneither the richness at the disposal of the hosts on board: both in the “leisure” configuration, both with the “fishing” adaptation, the 240FX offers elegance, comfort and several possibilities, hanks to the bow area that can be fitted with a comfortable sofa leaning onto the bulwark, or that can be left empty for the real fishermen. As for the 270, console and pilot cockpit are finished perfectly even in the smallest details, in order to be fully integrated and usable, moreover, also in this case the related volumes are used to gain a small changing room in thelower deck, that can be equipped with a wc. 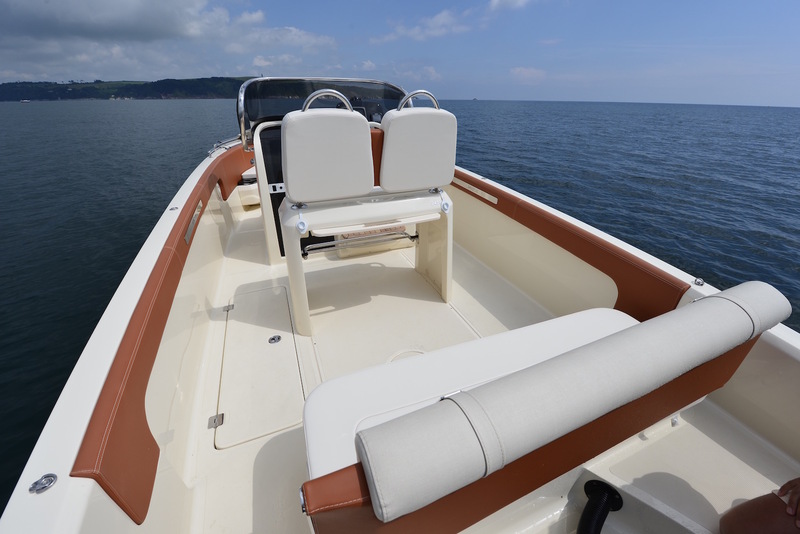 For the 240 FX “fishing” is also available an elegant canopy withtubular structure of polished steel and fitted with rod holders.